An electric pressure washer can be an invaluable asset for those who want to quickly clean various items around the home. From the siding on a house to the concrete on the driveway, an electric pressure washer makes fast work of even the toughest messes. Finding the best electric pressure washer for your home means reading reviews, studying product features, and diving into the ins and outs of available attachments and configurations. With the right electric pressure washer, cleaning tough messes outside the home can become a quick, over-and-done with task. We reviewed dozens of electric pressure washers to identify the best of the best, based on Amazon reviews, how well they performed in cleaning tests, cost, and other considerations. We narrowed our search down to 5 of the top-rated electric pressure washers homeowners can purchase to ensure a clean and healthy home. Maximum cleaning power with a selection of spray nozzles. We’ve identified Sun Joe SPX3000 Electric Pressure Washer as the best electric pressure washer out there. With ample PSIs and a selection of quick connect nozzles, this electric pressure washer is one that will keep your entire home in tip top shape. These benefits allow you to tackle any sort of cleanup tasks around the home with ease. The Sun Joe SPX3000 Electric Pressure Washer took the top spot on our list of the best electric pressure washers as it offers an impressive 2030 PSI at 1.76 GPM spray power, and comes complete with a selection of five spray nozzles that conveniently stow away onboard the unit. It uses a unique system which automatically shuts off the pump when the trigger is not engaged in order to help save energy and prolong the pump life. Those who purchased and reviewed this electric pressure washer appreciated that the machine was easy to assemble and use, and could be used to clean many surface types. Many customers liked that this unit includes a 2-year manufacturer warranty, and found that customer service was very helpful any time they needed to contact them. 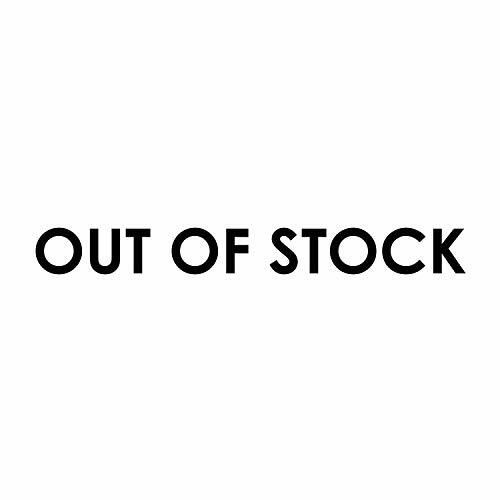 A few people complained that the unit stopped working after being in storage for a while, but later realized it was due to incorrect maintenance on their part. With a price tag of about $149, it doesn’t come cheap, but the quality craftsmanship associated with the brand, as well as the ease of setup and use more than justifies that price. It has a rating of 4.2 on Amazon with nearly 6,000 people reviewing it, which we think goes a long way in convincing homeowners to make the investment. Turbo nozzle and integrated hose reel make this a smart buy. The PowRyte Elite 3000 PSI Electric Pressure Washer took the runner-up spot on our list of the best electric pressure washers thanks to its powerful motor, which generates a maximum 3000 PSI pressure for tackling heavy duty jobs with ease. It comes complete with four quick connect nozzle tips and features an onboard detergent tank. The pump automatically shuts off when the trigger is not engaged to help conserve water and prolong the life of the machine. Those who purchased and reviewed this electric pressure washer appreciated that it came with a 2-year warranty, and found it the right size for tackling a variety of cleaning projects around the home. People found it lightweight for more comfortable operation, and easy to store. At a cost of around $170, it doesn’t come cheap and is slightly more expensive than our top choice, but the quality craftsmanship associated with the brand, as well as the ease of setup and use still make it a smart buy. It has a rating of 4.9 on Amazon with more than 15 people reviewing it, which we think goes a long way in convincing homeowners to make the investment. 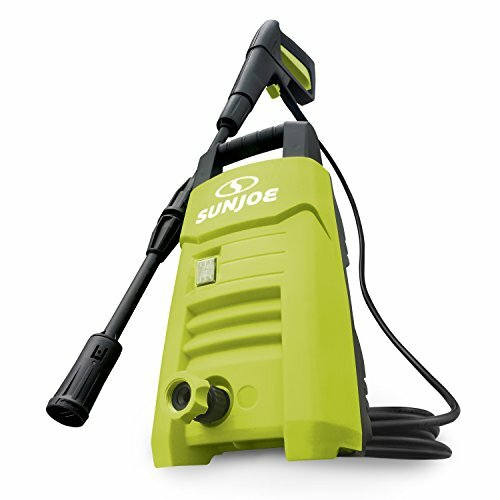 The Sun Joe SPX200E Electric Pressure Washer is a solid choice for those looking for an electric pressure washer that won’t break the bank, and is suitable for use on light to medium duty cleaning jobs. It comes complete with an adjustable spray wand with twist nozzle, which allows the operator to easily control water pressure. It provides up to 1350 PSI of maximum water pressure, and has been CSA approved for safety peace of mind. Those who purchased and reviewed this electric pressure washer appreciated that this model was so compact and lightweight, which made it easy to use and store. While the power is a bit less than other more expensive models, people found that it only took an extra pass or two in order to achieve desired results. With a price tag of approximately $56, this electric pressure washer is a solid choice for those looking for an electric pressure washer option on a budget. It has a rating of 4.1 on Amazon with more than 220 people reviewing it, which we think goes a long way in convincing homeowners that this budget-friendly pick is just as good at cleaning up as its more expensive counterparts. A nice all-in-one package for light cleaning needs. 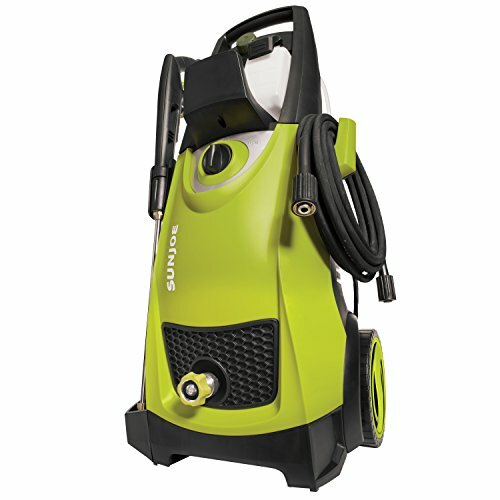 The Greenworks GPW1951 Pressure Washer is a great buy for those who want the cleaning convenience of an electric pressure washer, but don’t necessarily need a unit for heavy duty cleaning. It provides 1950 PSI maximum pressure, and can be used both horizontally and vertically for added convenience. The included turbo nozzle, three quick connect nozzle tips, and 25 foot high pressure hose provide even more value to this set. Those who purchased and reviewed this electric pressure washer appreciated that it came with plenty of accessories, and could handle a variety of cleaning tasks with ease. While some reviewers wished the cord management system was a bit better, they liked that it didn’t need taken apart to be stored. Reviews mentioned it can go through soap quickly, but offered a quiet operation. At a cost of about $183, it doesn’t come cheap, but the quality craftsmanship associated with the brand, as well as the ease of setup and use more than justifies that price. It has a rating of 3.7 on Amazon with more than 150 people reviewing it, which we think goes a long way in convincing homeowners to make the investment. 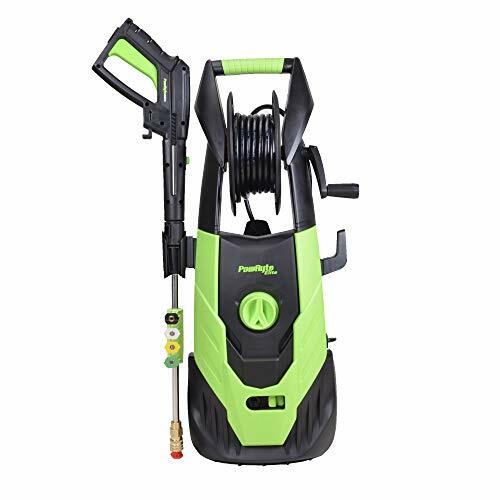 The Flagup 3000 PSI Electric Pressure Washer is an excellent choice for those who need a pressure washer to tackle the toughest cleaning jobs, as it boasts a powerful 1800-watt air-cooled industrial motor, which provides a maximum 3000 PSI cleaning power. The axle-mounted wheels allow for convenient roll-away mobility, while the upright design makes storing the unit a cinch. Those who purchased and reviewed this electric pressure washer appreciated that it offered plenty of cleaning power, and was lightweight and convenient to move while in use. People liked the soap dispenser and hose reel, and said the machine worked well on deck, siding, brick, concrete, and patio cushions and furniture. With a price tag of around $136, it’s not outrageously priced, and the quality craftsmanship associated with the brand, as well as the ease of setup and use more than justifies that price. It has a rating of 4.8 on Amazon with nearly 200 people reviewing it, which we think goes a long way in convincing homeowners to make the investment. An electric pressure washer is an ideal choice for nearly anyone who lives in a house and has large outdoor areas they need to clean. They can make fast work of cleaning up messes such as motor oil stains in the driveway, slippery mildew on the deck, and mold growing on fence posts. An electric pressure washer is a better choice compared to gas-powered versions for those who have smaller spaces to clean, and don’t require as much power in their washer. They are more compact and lightweight, which makes them easy to move about and use. They are also relatively light and quiet, require very little in the way of maintenance, and create no exhaust emissions. Easy to start and stop, their compact size makes them convenient to store when not in use, although they will require winterizing if not being brought indoors during the colder months. For people who want a faster way to wash their car, an electric pressure washer with soap sprayer attachment can be a real lifesaver. If you need to use an electric pressure washer away from your home – where you don’t have ready access to electrical outlets – you might also want a portable generator to power your electric pressure water and other electricity needs. Power. Arguably the most important consideration when shopping for an electric power washer is how much power it offers, as this is one of the best indications of how well it will clean. The simplest formula is to take the machine’s pounds per square inch (PSI) and gallons per minute (GPM) ratings and multiply them. This gives you a machine’s cleaning units (CU) which is sometimes listed on the box, but not always. The more CU, the more cleaning power a machine has. Hot vs. cold water. Cold water pressure washers may be less complicated and more portable than their hot water counterparts, but a hot water pressure washer will use less water and clean better with less soap. They can also be used to sanitize surfaces, but come at a noticeably higher cost. Portability. Since you’ll be dragging your electric pressure washer around, it’s important that the unit is easily portable. Lightweight and compact models are good for moving and storing, and there are even some with integrated wheel systems for added convenience. Whenever possible, test out how easy it is to move a machine in person. Warranty. Most electric pressure washers include some sort of manufacturer warranty, but be sure to read the fine print. Ensure that any warranty covers not only the frame, but also the engine and pump. Price point. Finally, consider how much you are willing to spend on an electric pressure washer. Electric pressure washers vary in price from $100-$250 or more. You can sometimes find discounts around the end of summer that can make buying an electric pressure washer more affordable. What is an electric pressure washer and how does it work? An electric pressure washer is a type of pressure washer which runs off electricity rather than gas. It works by using an electric motor in order to power a pump, which forces water at high pressure through a concentrating nozzle. This high pressure spray can quickly blast away dirt and grime from surfaces such as decks, driveways, and patios. An electric pressure washer can also be used for cleaning outdoor chairs, siding, and other items with less elbow grease than a bucket of soap and a scrub brush. It is important to keep in mind that electric pressure washers deliver a concentrated and powerful high-pressure stream of water, which can cause serious injury and damage property if not used carefully. Never spray closer than 6-inches to whatever you’re cleaning, and avoid using the 0-degree nozzle in order to prevent damage or injury. How much PSI do I need to clean my driveway? In order to clean a driveway, you’ll want to look for a pressure washer that is either medium or heavy duty, with somewhere in the range of 2000 and 2800 PSI at 2-3 GPM. If you opt for a lighter duty pressure washer, you might still be able to clean your driveway, but it will take more passes with the machine, and more time. How many PSI do I need to pressure wash a deck? In order to pressure wash a deck, you should look for a machine with around 1300 to 2000 PSI at 2 GPM. These machines are generally referred to as light duty pressure washers, but you can also use a medium or heavy duty pressure washer to clean your deck, being mindful of the spray power. Will an electric pressure washer clean concrete? An electric pressure washer can clean concrete, but you’ll need a medium or heavy duty machine in order to do so. Most professionals recommend anywhere from 2000-3000 PSI and a flow of at least 2.5 GPM as sufficient for cleaning concrete with a pressure washer. We looked at 20 other electric pressure washers. Even though they didn’t make our 5 best electric pressure washers list, they’re the best of the rest and each is still a great option for cleaning up around your home. The information you’ll need to compare each one is included with the listing. 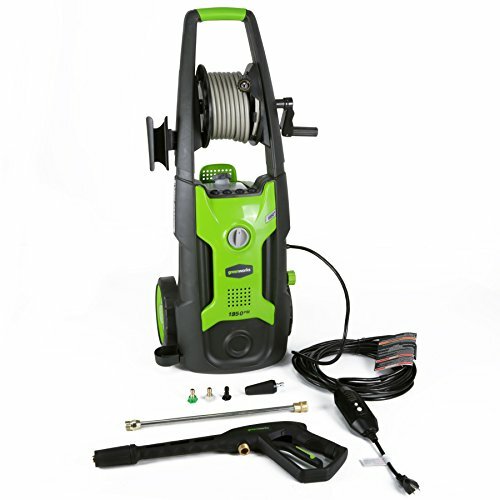 This heavy-duty electric pressure washer provides 2030 PSI at 1.76 GPM of cleaning power, and comes complete with five quick-connect spray tips. This heavy-duty electric pressure washer boats 2600 PSI at 1.6GPM of cleaning power, and offers a compact, upright design that is easy to move about. This heavy-duty electric pressure washer provides 2600 PSI at 1.6GPM cleaning power, thanks to a powerful 1600W motor. It includes four quick-connect spray tips for added value. This heavy-duty electric pressure washer is suitable for cleaning a wide variety of surfaces, and boasts 2600 PSI at 1.6 GPM of cleaning power. This heavy-duty electric pressure washer is handy for cleaning decks, patios, siding, driveways, outdoor furniture, and more, and provides 2000 PSI at 1.4GPM cleaning power. This heavy-duty electric pressure washer boasts 3000 PSI at 1.76GPM of cleaning power, and features rolling wheels and integrated hose storage for convenient storage when not in use. This electric pressure washer comes complete with a UL listed GFCI plug for added peace of mind while using, and includes a 26 foot long high pressure hose to help tackle any job. This heavy-duty electric pressure washer provides 3800 PSI at 2.0 GPM of cleaning power, and features a brushless induction motor for added longevity and power. This heavy-duty electric pressure washer boasts 2000 PSI at 3.5 GPM of cleaning power, and comes complete with an adjustable 7-in-1 spray nozzle to tackle a variety of cleaning tasks. This heavy-duty electric pressure washer comes complete with plenty of accessories for all your cleaning needs, including turbo and angle nozzles, patio surface cleaner, soap foam sprayer, and a brush. This light-duty electric pressure washer offers 1700 PSI at 1.2 GPM for tackling a wide variety of cleaning tasks around the home. It can be used both vertically and horizontally for added convenience. This light-duty electric pressure washer provides 1600 PSI at 1.6 GPM of cleaning performance, and boasts an incredibly compact and lightweight design that is ideal for use at home or on boats and RVs. This light-duty electric pressure washer provides 1450 PSI at 1.45 GPM, and comes complete with an adjustable spray wand with twist nozzle, which lets the operator easily control water pressure. This light-duty electric pressure washer boasts 2030 PSI at 1.76 GPM cleaning power, and comes complete with a 2-year warranty for added peace of mind. This light-duty electric pressure washer provides 1500 PSI at 1.2 GPM cleaning power, and weighs in at just 17 pounds, making is easy to move about as you tackle your cleaning chores. This light-duty electric pressure washer provides 1900 PSI at 1.5 GPM cleaning power, and includes an adjustable spray wand for quickly changing spray levels between tasks. This light-duty electric pressure washer offers 3000 PSI at 1.8 GPM cleaning power, and comes complete with a wheeled upright trolley design which makes moving it easy and safe. This light-duty electric pressure washer boasts 1700 PSI at 1.3 GPM of cleaning power, and comes complete with a high-pressure hose, turbo nozzle, and detergent injection system to tackle any task with ease. This light-duty electric pressure washer provides 2150 PSI at 1.85 GPM of cleaning power to quickly blast away dirt and grime from decks, patios, driveways, siding, and more. This light-duty electric pressure washer boasts 2100 PSI at 1.80 GPM of cleaning power, and can be used with hot or cold water for added cleaning versatility.